A couple of weeks ago, I was photographing Courteeners (check my next blog! 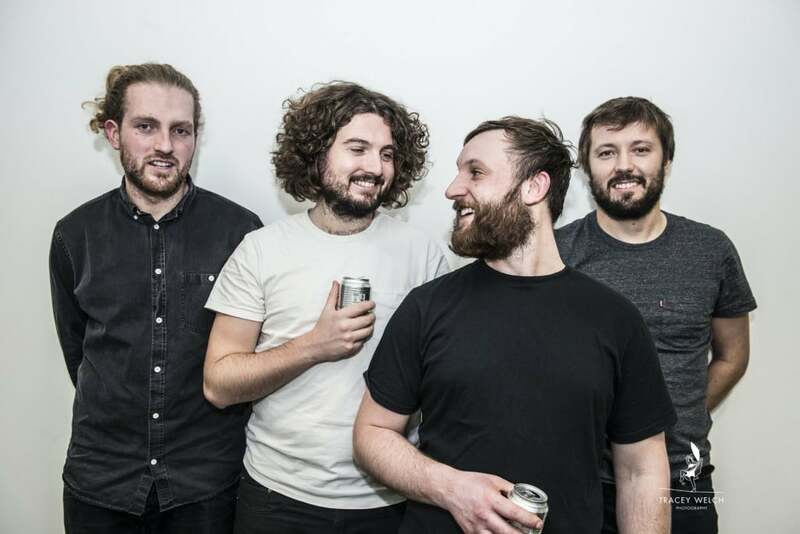 ), and Sheffield-band Milburn were supporting. It’s always good to catch up with old friends and when I asked for a couple of pictures they obligingly gave me three minutes to get something in the can. Here’s the result, which the band tweeted later. https://twitter.com/traceyphoto. 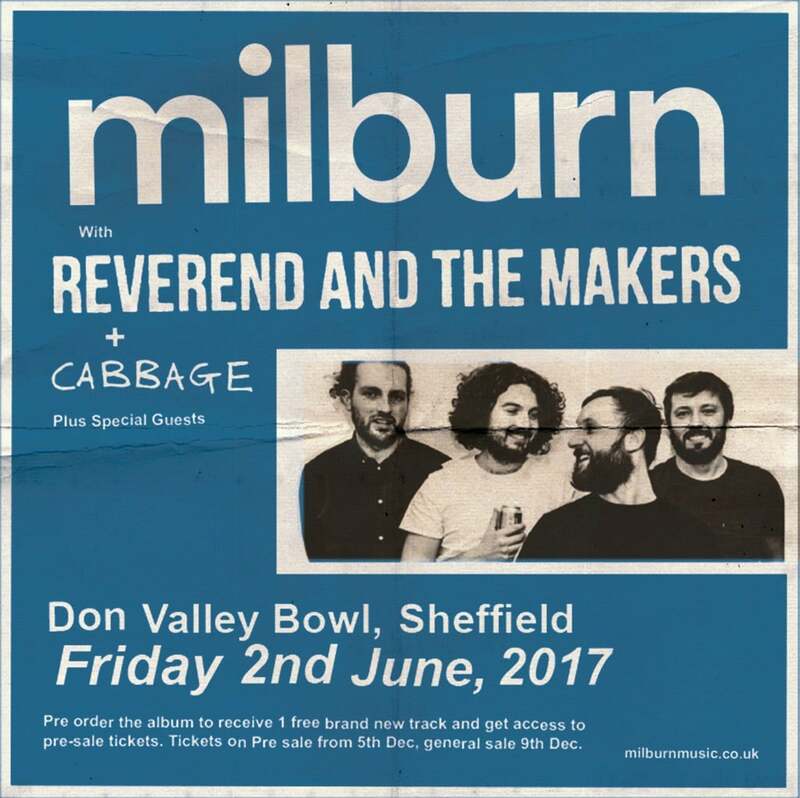 And it’s since become their poster image for next year’s gig at Don Valley Bowl, Friday 2nd June 2017….which is nice! And then, onto The Human League last Saturday. Thanks to Neil from Human League for sorting my pass for their latest gig at the Motorpoint Arena. 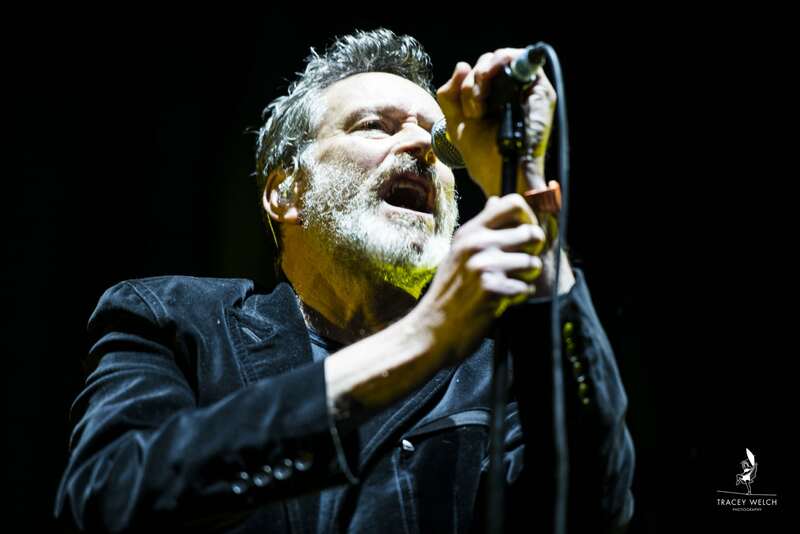 Always good to see them on their home turf – the response from the audience is really special – and joining the band’s friends and family for the rest of the gig it was great to be a part of it. 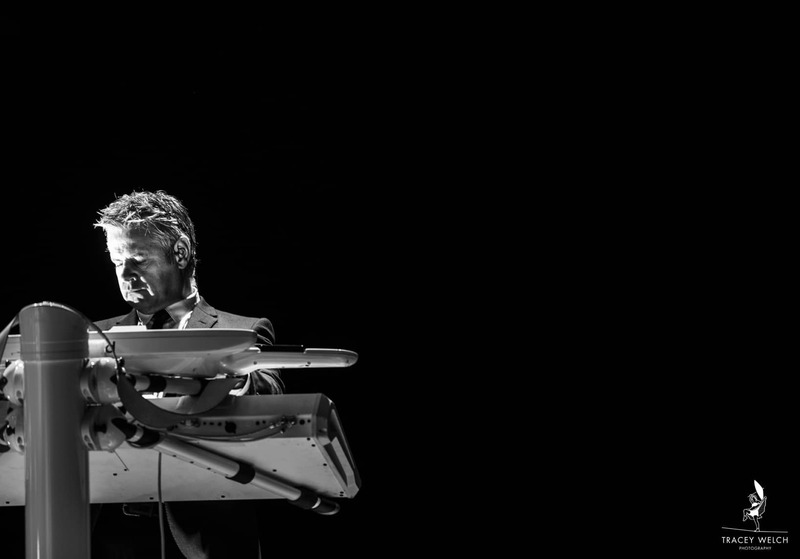 Lighting was a bit of a challenge but I love this one of Neil in black and white. 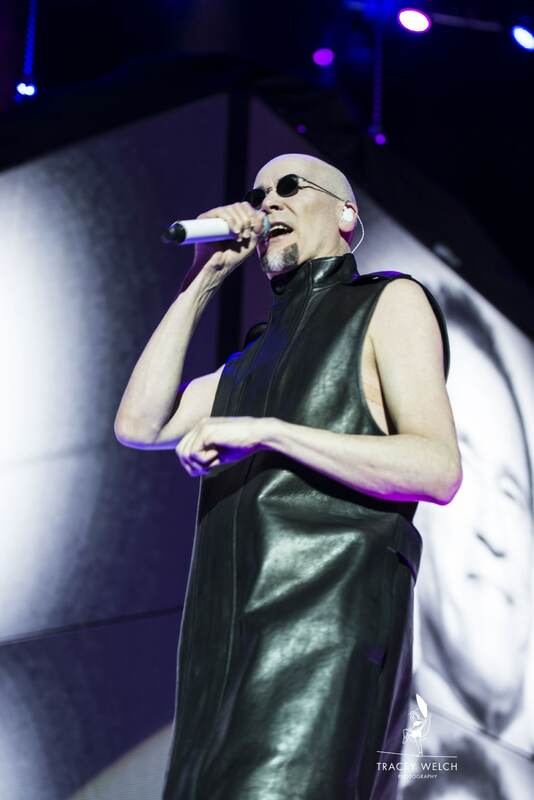 Human League’s style has always been as distinctive as the sound..and this season Phil Oakey is rocking the leather look…. …while Sue shines in full length silver. In support, Blancmange and again, once my work was done I got to enjoy the entire set. I have to say, I had forgotten how good a group they are, and there was a mass singalong to all the old favourites like ‘Living on the Ceiling’. 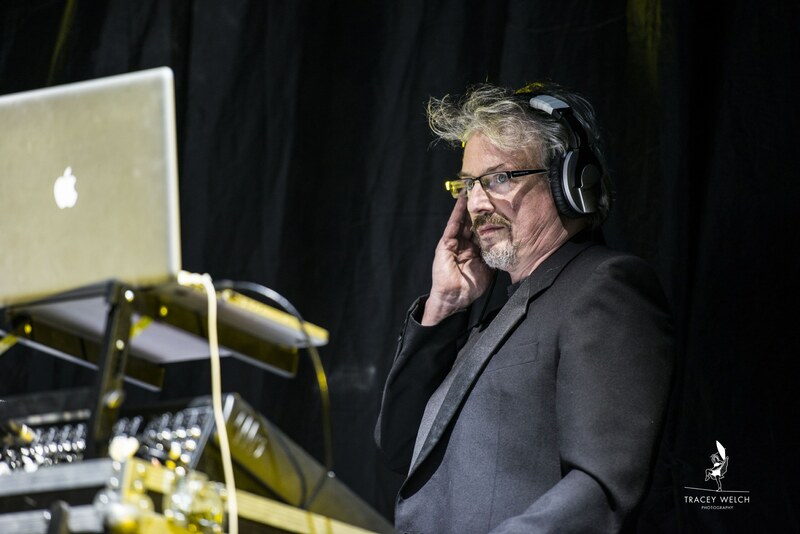 All in all a cracking night out..
Synth DJ = Cool Man!